Merrythought are England's sole surviving toy manufacturer and have been creating their fine toys since 1930! Merrythoughts classic range of handmade bears and friends are all created at the Merrythought factory, in Ironbridge, Shropshire. 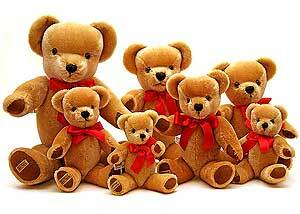 They have many limited editions along with their iconic Cheeky and Punkie bears.